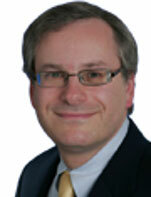 Tobias M Levkovich is the Chief US Equity Strategist for Citi Research. He is also a member of the firm's Investment Strategy Committee. In this role he is responsible for assessing the direction of the market, setting the firm's investment sector allocations, and compiling its Recommended List, a list of specific investments that he expects to appreciate in value. Tobias assumed his current role in 2001. He is a member of Institutional Investor's (2009) All-America Research Team, a recognition that he has received previously. SmartMoney magazine has also recognized Tobias as one of its "Power 30 Thinkers" (November 2004), its "Best Market Seer" (December 2003) and its "30 Smartest People in Investing" (December 2002). Prior to assuming his current role, Tobias spent 13 years analyzing the engineering, construction, and machinery industries and was recognized for his accurate investment recommendations and analysis by Institutional Investor, The Wall Street Journal, and Reuters. He holds a Bachelor's degree in commerce from Concordia University in Montreal and attended Boston University's Graduate School of Management.